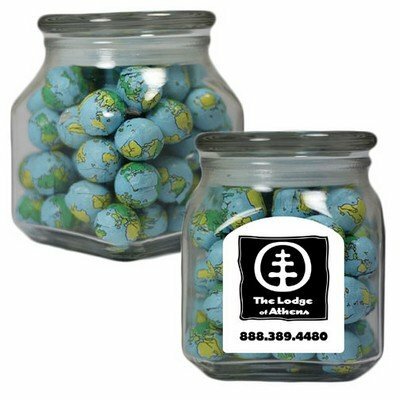 The Large Square Apothecary Jar features customization ability to add brand imprint on the Assorted Gifts. Indulge the sweet tooth with the personalized Large Square Apothecary Jar this holiday season. This vintage glass jar when placed around the office builds inviting spots. It will surely bring plenty of visitors. This promotional product consists of a large clear jar filled generously with rich Starlite Mints. 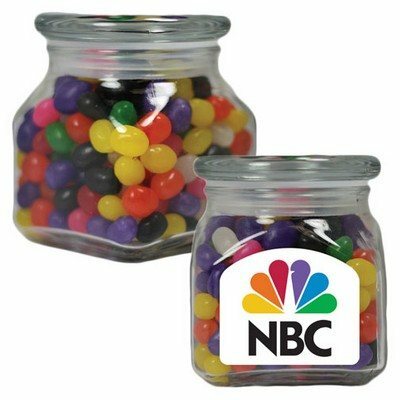 Your recipients can refill the jar with their favorite treats when the original contents are exhausted and hence ensure long.jpgiving promotional potential for your brand. Sealed lid helps maintain the freshness of contents. 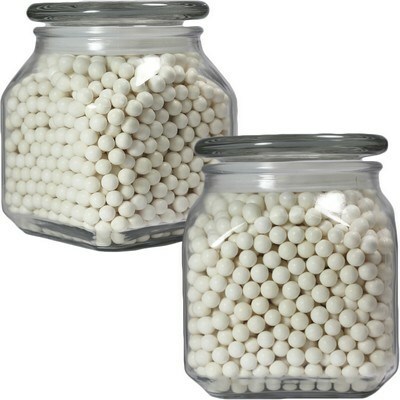 This makes the jar ideal for beauty products and kitchen essentials. It can be easily personalized by adding custom imprint using the imprint options available to create an excellent choice for promotional giveaways. Click on the location(s) where you want your decal to appear.